Soy beans are great for making plastic and paint, but they are deadly as food. In contrast to less highly-hyped modalities like fish oil, fruit and vegetable-rich diets, Co-enzyme Q10, exercise, etc, no clinical evidence exists to show that soy protein, nor any soy product or derivative, has ever prevented a single heart attack! A gene from a Brazil nut inserted into soybeans made the soy allergenic to those who normally react to Brazil nuts. Genetically altered soy currently consumed in the US contains a gene from bacteria. The inserted gene creates a protein that was never before part of the human food supply, and might be allergenic. Sections of that protein are identical to those found in shrimp and dust mite allergens. According to criteria recommended by the World Health Organization (WHO), this fact should have disqualified genetically altered soy from approval. The sequence of the gene that was inserted into soy has inexplicably rearranged itself over time. The protein it creates is likely to be different than the one intended, and was never subject to any safety studies. It may be allergenic or toxic. The process of inserting the foreign gene damaged a section of the soy’s own DNA, scrambling its genetic code. This mutation might interfere with DNA expression or create a new, potentially dangerous protein. The most common allergen in soy is called trypsin inhibitor. Genetically altered soy contains significantly more of this compared with natural soy. 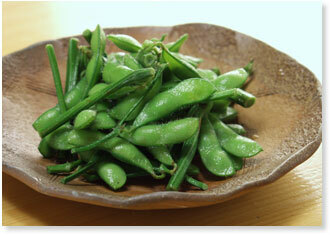 Vitamin B12 analogs in soy are not absorbed and actually increase the body's requirement for B12. What does Soy Milk do to babies? Disruption of normal sexual development evidenced by changes in onset of puberty. Onset of early puberty in the U.S. occurred in tandem with increased sales of soy formulas. Thyroid dysfunction and increased incidence of goitre as phytoestrogens act as endocrine disrupters. Phytoestrogens are known to induce infertility in animals and possibly in some birds. Possible links between soy phytoestrogen genistein and infantile leukemia. I am giving you the links to research the subject. ONE GIRL'S STORY-- This is creepy!